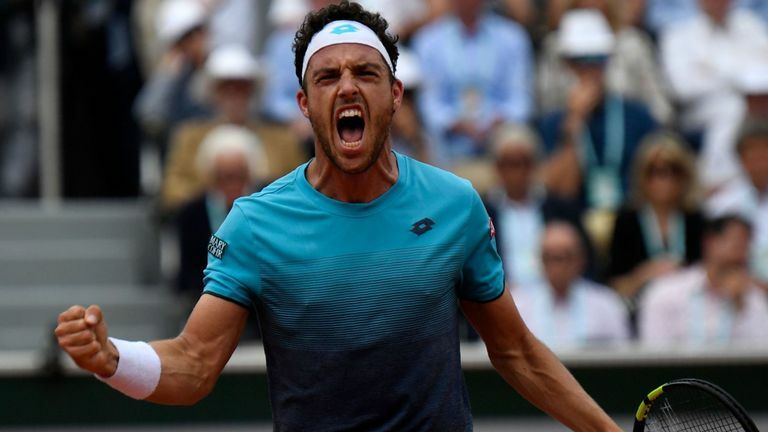 Unseeded Italian Marco Cecchinato caused a major upset at the French Open by knocking out former champion Novak Djokovic to reach the semi-finals. Cecchinato became the first Italian man in 40 years to reach a Grand Slam semi-final with a memorable 6-3 7-6 (7-4) 1-6 7-6 (13-11) victory after three hours and 26 minutes over the 12-time Grand Slam champion on Court Suzanne Lenglen. Cecchinato, who had never won a Grand Slam match in his career before Roland Garros, will take on Austrian Dominic Thiem for a place in Sunday's final. "Maybe I'm sleeping. It's amazing, it's unbelievable for me. I'm very happy because it's unbelievable to beat Novak Djokovic in a quarter-final at Roland Garros. It's amazing," said the 25-year-old Cecchinato.